Understanding Search Engine Optimization is a full-time job--literally. DMI Studios has an in-house Marketing Specialist to assist all of our clients with interactive marketing, beginning with Search Engine Optimization (SEO). Search Engine Optimization is working to create a website that is easily found on search engines. SEO is the natural positioning within search engines such as Yahoo!, Bing and Google. Each search engine has a different way at looking at websites--this is called their algorithm. SEO works to ensure your website has the specific features each algorithm is looking for. Search engine placement is important! Let's imagine, a valued client of ours, FleaBDead, sells diamond studded flea collars. The market for these products is huge and the demand is high, so we want to be sure people can find this website. In working with FleaBDead, we look at their product and determine how John Q. Public is planning to use a Search Engine to find their website. Johnny will probably search for "diamond flea collar," "diamond studded flea collar" and "flea collar". We ensure these phrases are included throughout the website we create for them. Johnny probably won't know these flea collars by name. So the name of client's company, "FleaBDead" is of lesser importance here. So, we add the words the public may use to find these products to the titles throughout their website. A title is found at the very top of your browser. It is also the first line listed in search results. So, we'd add "Diamond Studded Flea Collars - FleaBGone" to their title--important words first. This covers all of their important search terms. Search engines look to other trusted websites to see if they should trust your website--thus reducing the chance you're simply a SPAM website. When a big-name pet store links to FleaBGone, it's like giving search engines a "thumbs up" about our site. Win! The more of these great links, the better for our client! Although, not for the fleas. The words that are used in these links are also important. The pet store linking to our client's site with "Diamond Studded Flea Collars" will help search engines to further categorize us within the realm of diamond studded flea collars. Linking to our client with "FleaBDead" doesn't do that. So, we help our clients be picky about their links. Websites that are continually adding content and gaining links are noticed by search engines. It's like the popular kid in school who keeps gaining attention by his following. 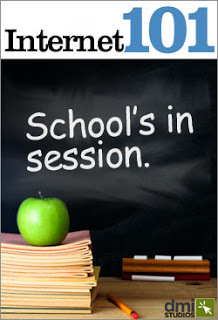 Search engines take note of these popular kids. We help websites become popular with our Content Management Systems and by integrating blogs when they are a good fit. 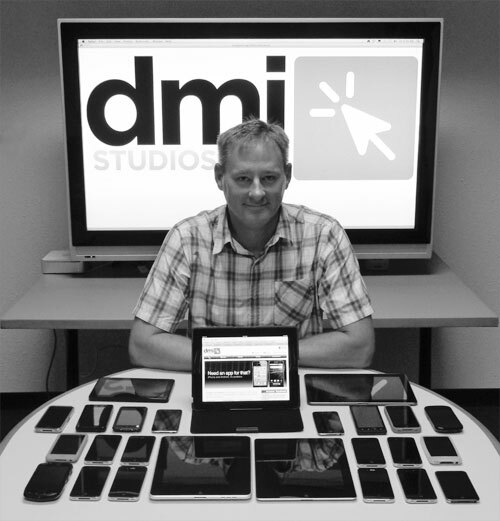 DMI Studios has a specific approach when working to optimize a website. First, a website is created using a clean coding and design (major disadvantage for template-websites). Next, DMI works with each client to ensure the content on each web page is valuable to your audience and has those important search terms (or keywords) related to your business. Once the website is launched, we collaborate with our clients to work on increasing search engine leads for their website. This could entail modifying the copy on specific under-performing pages on the site, working to create better links to your website or adding code in the back end informing search engines about the content of your website. All in an effort to help your audience find you! This is just the beginning of Search Engine Optimization. If you're looking for ways to increase your website's SEO, we'd be happy to help! A custom web design, logo creation, marketing plan and an impressive amount of tourism-related experience allowed DMI Studios to create the best interactive presence for the Florence County Tourism and Economic Development brand. Florence Country Tourism and Economic Development is located in picturesque northeast Wisconsin about 2 hours north Green Bay. Florence Co. knew they needed a revitalized website to better serve their target-market for tourism. Their current website was laden with government-related information for current residents of the county. However, a website that specifically served the tourism industry was needed. As Florence County began creating their Request For Proposals, they soon realized they didn't have a clear marketing plan, logo or direction for their brand. They leveraged DMI Studios' to help them through the marketing and brand identity process. Brad Gegare, of DMI Studios, worked with Florence County every step of the way. Brad spent time walking Florence Co. through the entire marketing process. Brad has 6 years of experience in the tourism industry and over 15 years experience in marketing. Florence County saw they had a true collaborator in DMI Studios. Once work began, DMI created a vision for Florence Co. to market their brand and a logo that would speak to their tourism audience. When the marketing was in place, DMI worked to create a robust website that would be updated with relevant Events, News and a stream from their Facebook feed in addition to important tourism-related information. "DMI Studios' design staff helped us perfect our logo with rotating icons and colors that are eye- catching and reflective of the great outdoors," said Wendy Gelhoff, Director for Florence County Economic Development. DMI Studios also helped to map out the necessary web pages to best serve tourists. Along with the new web design, the administrative section of the website featured DMI's proprietary Content Management System that enables website owners to continually update their website. The easy-to-use tools enable a website experience that is relevant, trending and up-to-the-minute with information for internet users. "The best part about the whole experience is how easily new content is added through the many custom Content Management Tools designed for each of our unique pages. When the final site was ready, Brad came up to train us and in 1 hour we were ready to go," said Wendy Gellhoff. DMI Studios has an unmatched combination of website pre-planning, strategy, design expertise, content management options, search engine optimization and customer service. The end result is a user-friendly website that is easily updated by site owners and works day and night to build business! Websites are only as good as they are found and utilized by the wider public. DMI Studios prides itself on creating websites that are user and search-engine friendly. Wendy noted that "The first quarterly review of our site performance metrics showed a huge improvement in our site being located (on search engines). We have received many compliments on our new website from both tourism users and from our local business owners because we are driving new business to them from our website." Sounds like a hole in one for the tourism industry in Florence County, WI. The Florence County Tourism and Economic Development website launched in February 2012. DMI Studios works to create the best interactive solutions to fit the needs of your unique industry. Call us today to learn how DMI can help build your business. The story of our brand. Digital-Magic hit the ground running in 1994, as surfers of the World Wide Web carried brick phones instead of cellphones and the sound of a dial up connection was music to their ears. They would hop on the Internet Super Highway (with a 56K connection) armed with AOL keywords (and something to keep them occupied as their webpage would load), they waited for their computers to exclaim, You've got mail! We were interacting with others online, so it seemed apt to modify our name to Digital Magic Interactive. In the next few years, the internet grew up (a lot!) and we did too. In 2001, we rebranded as DMiNTERACTIVE-- a full-service agency offering a breadth of solutions for our clients. Banner ads, search engine keywords, search engine optimization, content management, and wider pixel screens defined this era. Finally a website could bust out 800 pixels and really tell a story! Website owners could update their sites without knowing a foreign (to them) language. The internet was booming! And people still called us "DMI". As we enter into 2013, the internet is now on every street corner, classroom, living room, purse and pocket. We pull out our smartphones to order pizza and download a movie. Cellphones have changed the landscape once again. Websites need to be mobile. Apps help us track the milage of our run and find the lowest gas prices in town. We get our email, weather, news, movies on the go-and we tell everyone about it with social media. Some think it's beautiful. Some think it's madness. Call us crazy, but we think it's art that fits in your palm of your hand. You see, we've hit our stride as well. And we don't care if you call us names. Although, we'd prefer it to be our new name. A studio is a place that blends art and technology to make something of value. To us, that sounds familiar. At varying levels, every one of our projects is about form and function, left-brain and right-brain, beauty and geek. We create custom solutions for our clients and each one comes standard with a mega dose of customer service. If you know exactly what you're looking for or if you need help assessing your situation, we've got you covered.